National Sports Services provides extensive services to the sports industry, including franchise sales and acquisition (See Brokering), franchise consulting, facility marketing, venue development and facility management to the professional sports industry. The principals of NSS have over 60 years of experience in the successful development and operation of professional sports franchises and facilities. Over the past 30+ years, the principals of National Sports Services have been directly involved with attracting and entertaining over 20 million fans at sporting events. In turn, they have opened eight new arenas and stadiums and have supervised numerous team start ups. Most recently, the firm is actively involved with several dramatic mixed use developments which will combine sports and recreation facilities with retail, commercial and residential components. The city of Lafayette, Indiana is constructing a new, $16 million multi-purpose baseball stadium to be completed for the 2021 Prospect League season. 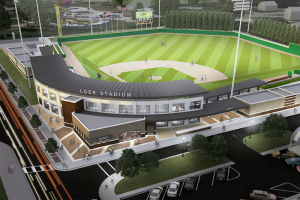 The facility will be built on the site of the current Loeb Stadium, which currently serves as the home of the Lafayette Aviators, the Colt World Series, and other local teams. National Sports Services is a partner and Manager of the Aviators, who will be the prime tenant in the new facility. The venue will include artificial turf, which will allow event scheduling in the spring and falls seasons.